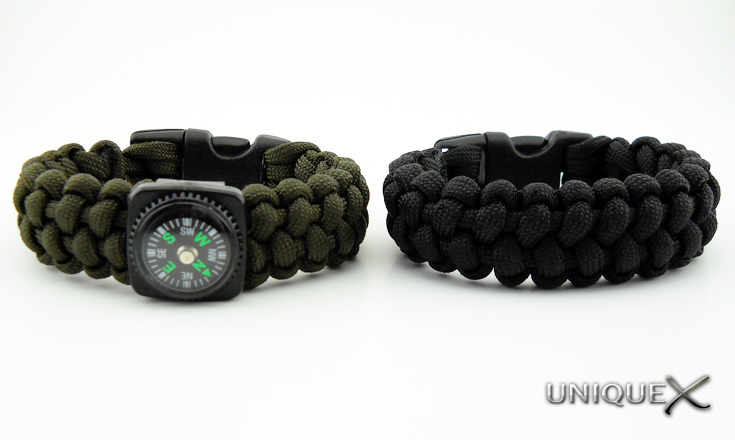 Last week I decided I would go on a little hiking and fishing trip and I would need to take along the right type of paracord bracelet. Although the Stitched Solomon Bar by JD at TyingItAllTogether isn't what I would call a "survival" design, it is becoming one of my all-time favorite bracelet designs, so I decided it would be the design I wanted to tie. 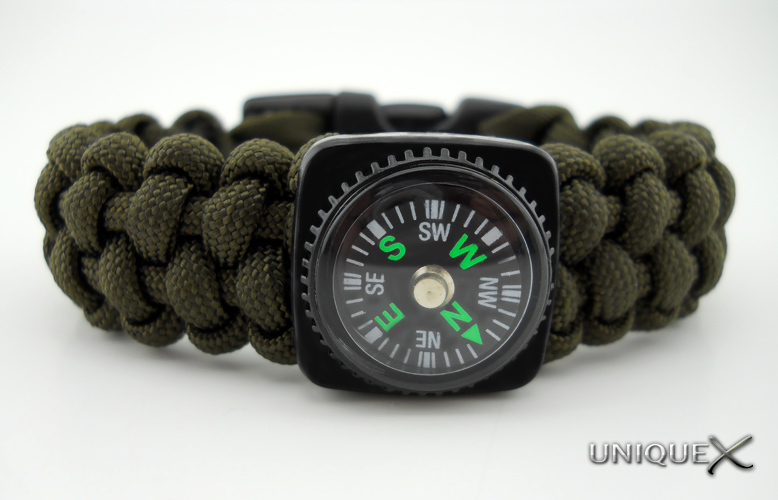 A few months back I purchased a Carabiner Keychain with a Compass from Walmart, and until now I hadn't decided how I would use it. 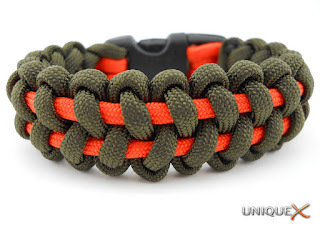 Since these bracelets are going to be used for hiking, fishing, and other outdoor events, the colors didn't need to be flashy so I went with a single color on each bracelet. 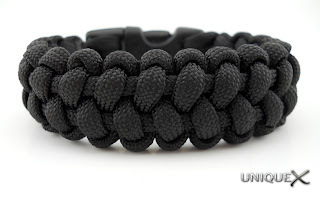 Since I was going to be using a single color, I thought about tying the bracelets with a single strand of paracord, but it would be easier to use two lengths instead. 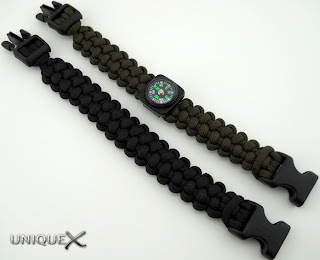 I used approximately 8 feet of cord to tie the Solomon Bar sections of the bracelets and approximately 2 feet for the stitched sections and attached them with a Contoured 5/8" Side Release Buckle from Creative Designworks. If you decide to use a Carabiner Keychain like the one in this post, you will need to first remove it by sliding it off the keychain. Then you will need to decide the location on the bracelet that you would like to place the compass. And then start tying the bracelet as you would normally tie, when you reach the point to attach the compass, attach the compass by inserting all four strands into the slot and from the opposite end of the compass, start tying the bracelet again. Once I tied the first two bracelets, I decided I might want a little bit of flare every now and then so I tied an OD Green with Neon Orange bracelet.